Japan has a fairly unique market when it comes to football boots. Here in Europe we’re used to seeing boots on players feet that we may not recognise, many players in Italy choose Asics or Lotto as their brand, and members of the Spanish national team plump for Joma. But more often than not, if we have a look around online, we’ll normally be able to get our hands on a pair from some of the larger sports stores. 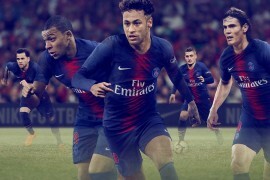 Japan, however, has a whole host of football boots on sale from brands you know and love that have never graced European pitches – and Footy-Boots.com is here to show you some of our favourites! Whilst the Puma PowerCat 1.10 is available as we know it in Japan, Puma also produce this PowerCat J as an Eastern exclusive. The PowerCat J doesn’t bother with the 3D Power Shooting Technology of it’s Western counterpart – instead it combines a classic leather upper and centralised lacing sysetem (along with the world’s smallest tongue!) 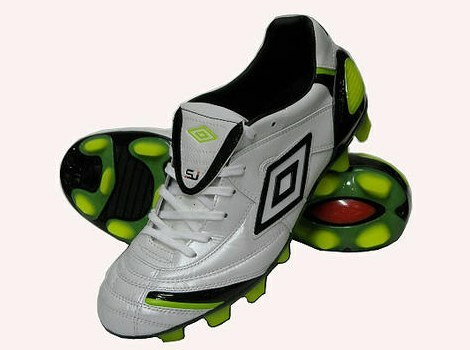 with a specially designed soleplate to offer maximum energy return when striking. 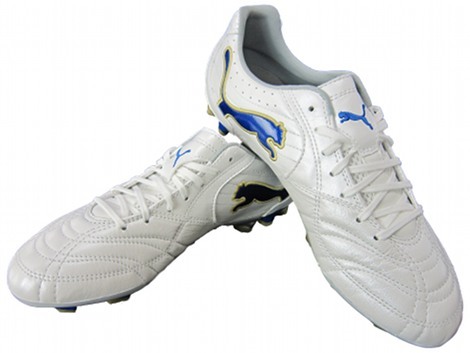 Whilst the PowerCat J might look like a completely different set of football boots to the Puma PowerCat 1.10 we’re used to seeing, one similarity is the general design of the heel counter, only here it’s leather rather than TPU. Also, we found an advert for the PowerCat J which is as off-the-wall as you’d hope it to be; Japan National team captain Makato Hasabe goes into a Pro Evo-style dream world to take on Crouch, Anelka and Cameronesi. In his dressing gown. In HD. 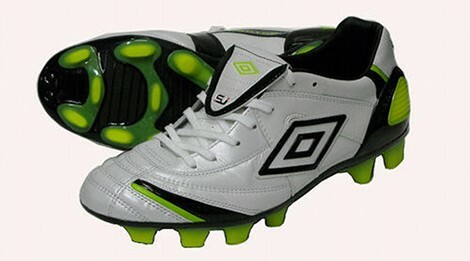 Of all the brands that you might expect to have a unique set of football boots in Japan, Umbro might be one of the last you’d expect. But sure enough, the Umbro Akusereita SJ 2 are one of Umbro’s key boots in the Far East after their re-branding a couple of years ago. Dubbed the ‘Accerartor’, these boots are a bit of a mashup of all the Umbro football boots we know and love over here; featuring the leather upper of the Speciali, the Heel Counter of the Stealth Pro and the A-Frame of the GT Pro. We reckon they look most like the old ‘SX’ range of Speciali, though, with the little stripe details on the toe and heel. Umbro are most proud of two features on the boot – the supersoft K-Leather upper, designed to accommodate Japanese feet, and the ‘cross’ on the soleplate, which is (like the PowerCat J) designed to offer maximum energy return when sprinting and shooting. The adidas Pathiqe X has the looks of a sleek adiPure, with a K-Leather upper and central lacing – but these football boots are a weird and wonderful hybrid of typical boot classifications. 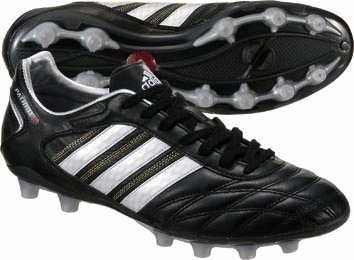 Whilst bearing a passing resemblance to the to the adiPure, adidas certainly don’t market them as a heritage/classic boot like their Western counterparts. adidas feel that these boots are as modern as the Superfly II, weighing in at 265g, these are some of the lightest K-Leather football boots you’re likely to find, and use Micro-Fit technology to make them the ideal shape for Japanese feet. 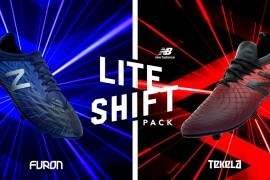 The other selling point is the unique multi-traction soleplate, which adidas say will perform on Firm Ground, Hard Ground, 3G and Astroturf pitches. Okay, so not strictly exclusive football boots, but we couldn’t resist letting this awesome colourway see the light of day. When we first saw the Mizuno Wave Ignitus on the feet of Roque Santa Cruz back in February, it was in this slick looking White/Charcoal/Yellow combo, but since then it’s been kept exclusive to Mizuno’s home country – which is a shame as we reckon this is even better than the Yellow/Black ones that are on release now! The Puma Para Mexico is something of the equivalent of the King in the Far East. With an emphasis on old-school styling, the Para Mexcio features a 12-stud, one piece soleplate, Supersoft K Leather upper and a big tongue, these football boots remind us more of a Copa Mundial than a Puma King! 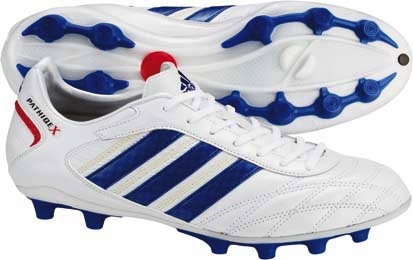 We came across these whilst researching which boots to include, and being honest, we’d completely forgotten about the exclusive Japan-Blue Predator Mania’s that adidas launched for the 2002 World Cup. But as soon as we saw them – we knew we had to show them to you guys, as these old-school Preds are football boots elevated to an art-form! That’s all for now – but if there’s any weird and wonderful football boots or colourways you’d like us to include in the next edition, let us know in the comments! 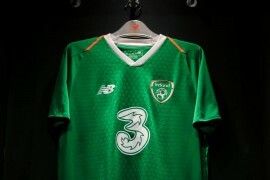 Also, would you like to see any of these designs make it over to Europe? This is not a new phenomenon surely. Was the Nike Super Ligera not born from needs in the far east for a durable light-weight boot? Though admittedly those in the article above are not necessarily the ‘prettiest’ of boots apart from may be the Puma Para Mexico which looks more like an 80s Puma cleat. I always liked the Super Ligera, shame it never caught on. That Puma Para Mexico is a mean looking shoe. It’s better than all the rest in this list. Would be good if anyone has any others they could add to the list, I love these! 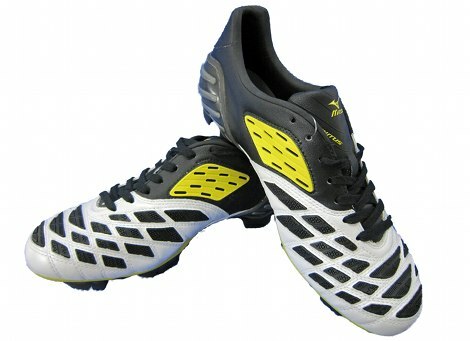 ahh, man, i wish those mizunos were released internationally, i was in love with the wave ignitus for a long time, but still couldnt get past the bright yellow colourway, and when i saw the white colorway in pictures, i knew those were the boots i wanted, i i even waited for 2 months to see if these would come out, but the season started earlier than expected and in a rush i snapped up a pair of T90’s. i’ve had them for a couple of weeks and they’re great, but ive already seen (from another football/football boots website that shall not be named) that a new colour for the ignitus will be released in either black and red and/or white and red, which has really ticked me off! 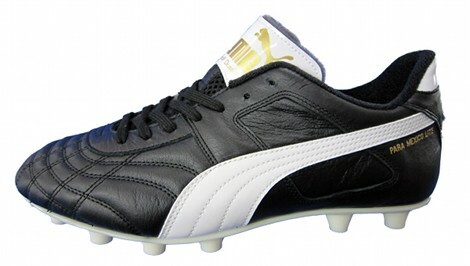 There is actually an external heel counter on the Puma PowerCat J, but it’s just smaller than the 1.10’s. theres some special acics boots in japan! i cant remeber the name though! 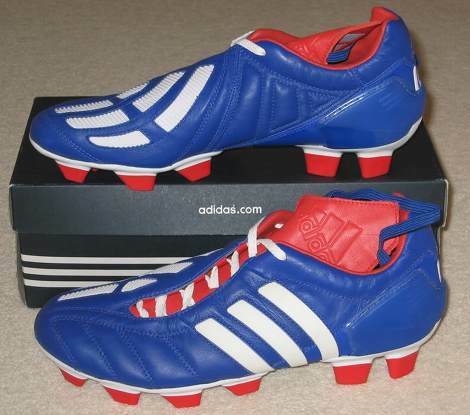 I so want a pair of predator mania’s it’s a shame nobody sells em anymore!! Does anyone know a japanese website where u can purchase the mizunos or pumas? 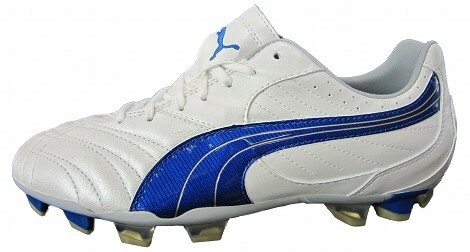 I would buy those puma powercat j if you could get them in aus!